Professor Ralph obtained a BSc Hons from Macquarie University in 1989 and a PhD in Physics from The Australian National University in 1993. He has held three Australian Research Council Fellowships - Postdoctoral, QEII and Professorial. 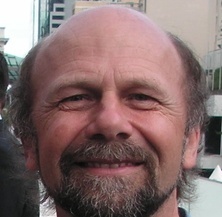 He is currently Node Director for the ARC Centre of Exellence for Quantum Computation and Communication Technology at the University of Queensland. As part of the Centre for Quantum Computation and Communication Technology we are attempting to understand and implement simple quantum gates using the techniques of linear optics and measurement induced state projection. Quantum information techniques allow one to communicate with absolute security, amongst other applications. As part of the Centre for Quantum Computation and Communication Technology we are developing such secure communication protocols based on sending coherent states of light and measuring their amplitudes. This project examines the interface between quantum mechanics, general relativity and information theory. It asks, both at a fundamental and practical level, what the ramifications for quantum information theory are when space-time curvature and rapid motion are introduced. Bachor, H. A. and Ralph, T. C. A Guide to Experiments in quantum optics 2nd ed. Weinheim: Wiley-VCH, 2004. Jeong, H. and Ralph, T. C. (2007). Schrodinger Cat States for Quantum Information Processing. In Nicolas J. Cerf, Gerd Leuchs and Eugene S. Polzik (Ed. ), Quantum Information with Continuous Variables of Atoms and Light (pp. 159-177) London: Imperial College Press. Symul, T., Lance, A. M., Bowen, W. P., Lam, P. K., Sanders, B. C. and Ralph, T. C. (2006). Quantum State Sharing. In A. Sergienko (Ed. ), Quantum Communications and Cryptography (pp. 163-186) New York: Taylor & Francis. Ralph, T. C. (2004). Squeezing from lasers. In P D Drummond and Z Ficek (Ed. ), Quantum Squeezing 2004 ed. (pp. 141-170) Berlin: Springer. Ralph, T. C. (2003). Quantum key distribution with continuous variable in optics. In Samuel L. Braunstein and Arun K. Pati (Ed. ), Quantum Information with Continuous Variables (pp. 295-316) Netherlands: Kluwer Academic Publishers. What can quantum optics say about computational complexity theory? Reply to "Comment on 'Information flow of quantum states interacting with closed timelike curves"
Rohde, Peter P., Munro, William J., Ralph, Timothy C., van Loock, Peter and Nemoto, Kae (2008) Practical effects in the preparation of cluster states using weak non-linearities. Quantum Information & Computation, 8 1 & 2: 0053-0067. Lam, P. K., Bowen, W. P. and Ralph, T. C. (2002) Quantum teleportation with Einstein-Podolsky-Rosen optical entanglement. The Physicist, 39 3: 72: . Bachor, H.A. and Ralph, T. C. (2001) Quantum noise transfer functions: A practical tool in quantum optics. Lecture Notes in Physics, 561 313-332. Can signal-to-noise be improved by heterodyne detection using an amplitude squeezed local oscillator? Hosseini, Sara, Rahimi-Keshari, Saleh, Haw, Jing Yan, Assad, Syed M., Chrzanowski, Helen M., Janousek, Jiri, Symul, Thomas, Ralph, Timothy C., Lam, Ping Koy, Gu, Mile, Modi, Kavan and Vedral, Vlatko (2014). Experimental verification of quantum discord in continuousvariable states and operational significance of discord consumption. In: CLEO: 2014. CLEO: QELS Fundamental Science (CLEO QELS 2014), San Jose, CA United States, (). 8-13 June 2014. Kuntz, Katanya B., Song, Hongbin, Webb, James G., Wheatley, Trevor A., Furusawa, Akira, Ralph, Timothy C. and Huntington, Elanor H. (2014). Quantum non-Gaussian and Gaussian states at multiple side-band frequencies. In: CLEO: 2014. CLEO: QELS Fundamental Science (CLEO QELS 2014), San Jose, CA United States, (). 8-13 June 2014. Fedrizzi, Alessandro, Broome, Matthew A., White, Andrew G., Fickler, Robert, Rahimi-Keshari, Saleh and Ralph, Timothy C. (2013). Direct characterization of any linear photonic device. In: APS March Meeting 2013. Proceedings. APS March Meeting 2013, Baltimore, MD, USA, (). 18–22 March, 2013. Walk, Nathan, Ralph, Timothy C., Symul, Thomas and Lam, Ping Koy (2011). Security of Post-selection based Continuous Variable Quantum Key Distribution against Arbitrary Attacks. In: Conference on Lasers and Electro-Optics (CLEO), Baltimore Md, (). May 01-06, 2011. Xiang, G. Y., Ralph, T. C., Lund, A. P., Walk, N. and Pryde, Geoff J. (2009). Noiseless linear amplification and distillation of entanglement. In: ACOLS ACOFT. ACOLS ACOFT 09, The University of Adelaide, (403-404). 29/11/09 -3/12/09. Lund A.P. and Ralph T.C. (2006). Efficient coherent state quantum computing by adaptive measurements. In: Quantum Electronics and Laser Science Conference, QELS 2006. Quantum Electronics and Laser Science Conference, QELS 2006, Long Beach, CA, (). May 21, 2006-May 21, 2006. Gilchrist A., Hayes A.J.F. and Ralph T.C. (2005). Linear optical quantum computation with parity encoding. In: 2005 Quantum Electronics and Laser Science Conference (QELS). 2005 Quantum Electronics and Laser Science Conference (QELS), Baltimore, MD, (2-3). May 22, 2005-May 27, 2005. Korolkova, N, Heersink, J, Silberhorn, C, Leuchs, G, Ralph, TC and Loudon, R (2003). Continuous-variable polarization entanglement. In: Shapiro, JH and Hirota, O, 6th International Conference on Quantum Communication, Measurement and Computing (QCMC 02), Cambridge Ma, (137-140). Jul 22-26, 2002. Bachor, HA, Lam, PK, Bowen, W, Schnabel, R, Bennetts, S, Buchler, B, Andersen, UL and Ralph, TC (2001). Optical quantum information processing: Experiments with CW laser light. In: Clark, RG, Experimental Implementation of Quantum Computation. 1st International Conference on Experimental Implementation of Quantum Computation, Sydney Australia, (220-225). Jan 16-19, 2001. Bachor, Hans-A., Lam, P. K., Bowen, W. P., Schnabel, R., Bennetts, S., Buchler, B. C. and Ralph, T. C. (2001). Optical quantum information processing: experiments with CW laser light. In: Proceedings of the 1st International Conference on Experimental Implementation of Quantum Computation (IQC01). 1st International Conference on Experimental Implementation of Quantum Computation, Australian National Maritime Museum, Sydney, (220). 16th-19th January, 2001. Ralph, T. C., Munro, W. J. and Polkinghorne, R. (2000). Bell-type correlations from continuous variable measurements. In: 14th National Congress of the Australian Institute of Physics. AIP 2000, Adelaide University, (27-27). 10-15 Dec, 2000. Ralph, T. C. (2000). Quantum information with continuous variables. In: Conference Digest: 2000 International Quantum Electronics Conference. 2000 IQEC, Nice Acropolis, France, (23-23). 10-15 September, 2000. Ralph, T. C. (2000). Quantum key distribution with continuous variables. In: T. Gallagher, Quantum Electronics and Laser Science Conference: OSA Technical Digest. QELS 2000, The Moscone Convention Center, San Francisco, California, (208-208). 7-12 May, 2000. Olson, S. Jay and Ralph, Timothy C. (2010) Entanglement between the future and past in the quantum vacuum. O'Brien, J. L., Pryde, G. J., Gilchrist, A., James, D. F. V., Langford, N. K., Ralph, T. C. and White, A. G. (2004) Quantum Process Tomography of a Controlled-NOT Gate. Quantum complexity, Emergence and Computation by Measurement On what computers reveal about physical laws, and what physical laws reveal about computers.